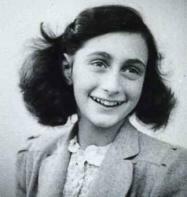 Today I went to the Anne Frank exhibition which is on at Te Manawa at the moment. This came to Palmerston North with great timing, and with just enough time for me to see it before I leave. While I'm in Amsterdam I am going to visit the Anne Frank Huis to see where her and her family hid for 2 years during WWII. I'm quite excited about this, and it is one of my highlights of the trip. I organised to spend an extra day/night in Amsterdam especially. I really enjoy learning about the history behind the WWII, and this will be an awesome experience to encounter some of the history firsthand. We also visit a concentration camp in Germany, and as terrible as the things which took place there were, this should be another amazing experience.